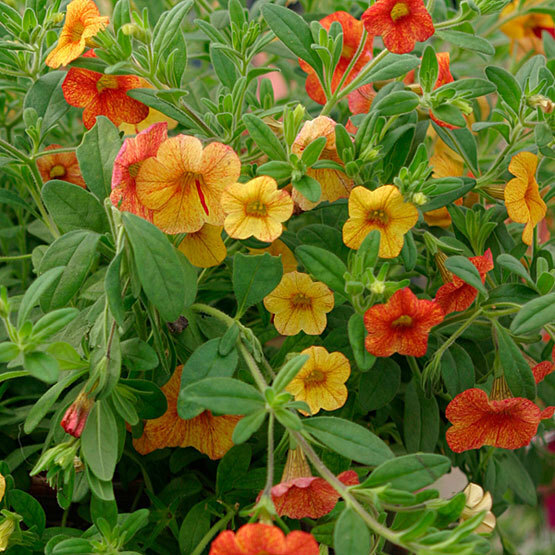 Closely related to the Petunia genus, the two dozen or so Calibrachoa species hail from South America and parts of the southern U.S. 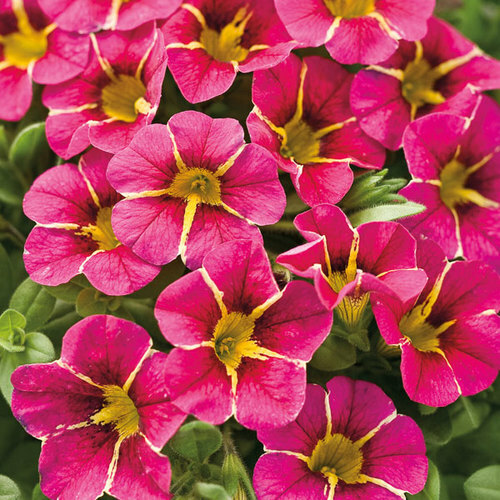 Though they are evergreen perennials, they are mostly grown as annuals or short-lived perennials. 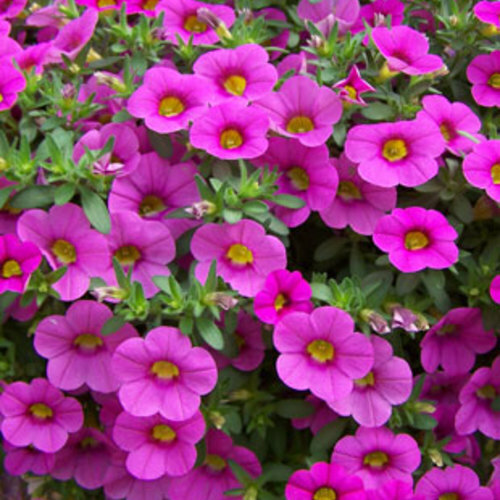 Flowers are the typical petunia shape, but smaller. 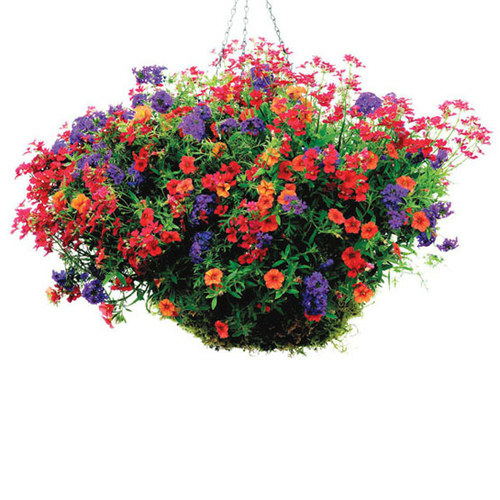 They are great for containers or as bedding. 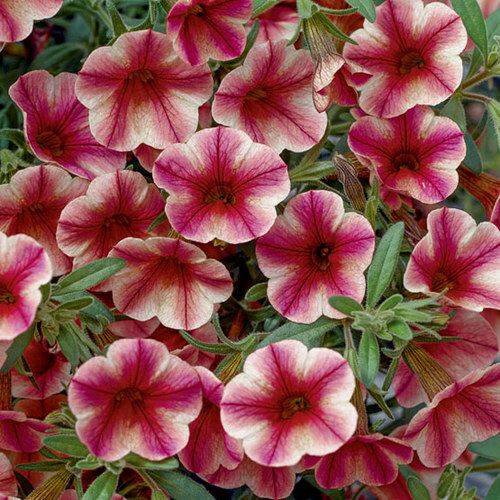 Noteworthy CharacteristicsSmall, petunia-like flowers. Evergreen, sprawling foliage. Tolerates light frosts. 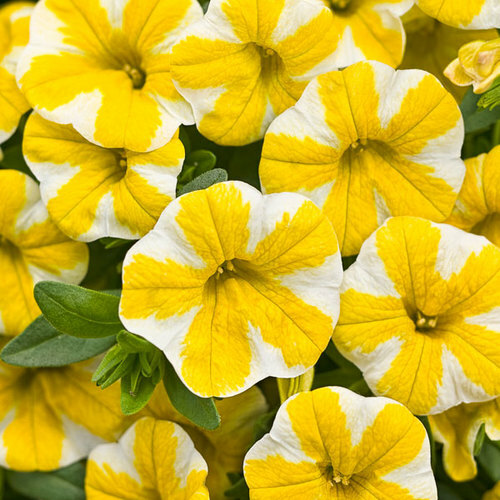 CareGrow in sun or part shade. Pinch back to encourage more flowers.